Calendar apps are of great importance in this modern era. Everyone is so busy with different events and affairs of life that they should arrange a valuable source to indicate the upcoming event or occasion. Fortunately, calendar apps for iPad are useful in this context. You can use any calendar app to make a complete plan of your events and meetings and other necessary happenings. Here is a list of the best Calendar apps to download in 2019. 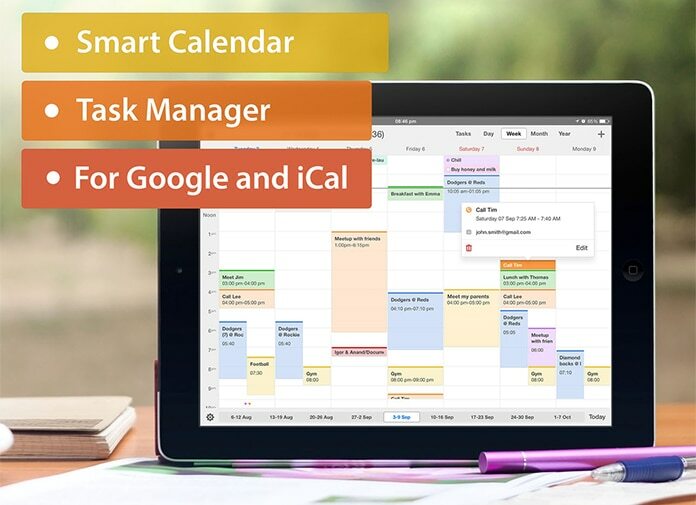 There are multiple options when it comes to select one of the best calendar apps and you have to select the right choice which is suitable for you. We are providing complete details of the best calendar apps which you can install on your iPad, iPod or iPhone and make schedules of your important time. It is a fantastic app which is developed by Developer Readdle. 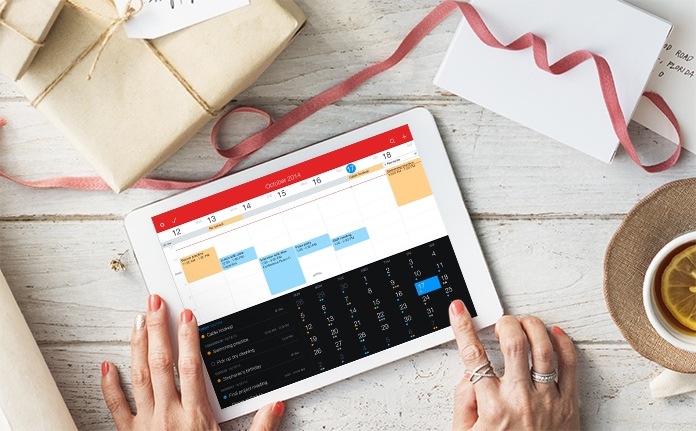 This calendar app has a lot of valuable features and options in it which are enough to allow you to schedule your events in the easiest way. Its design is easily approachable which confirms that you can access all its features quickly. You can view days, weeks, months, year to year tab, plus of course, comprehensive synchronization, and respective customization settings to adjust the appearance according to your requirements. It is supported by iPhone and iPad and can be purchased at cost of $6.99. 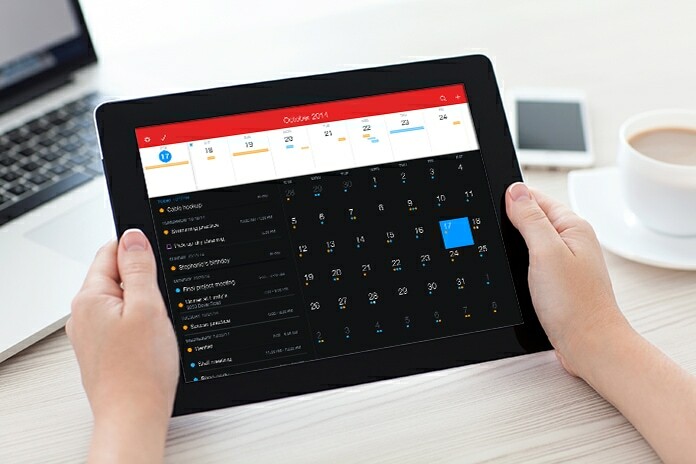 Planner Pro is another wonderful app when it comes to choose calendar app for your iPad. Its interface is attractive, easy and beautiful to understand and use. The calendar of this app consists of slick looking notebook binding together four tabs. Because of its easiest interface, you can quickly create date-specific notes which will be displayed and notified you at appropriate time and date set by you. Its annual charges are only $4.99 and you will be allowed to use all its features. Google calendar is one of the greatest and mostly used calendar app for your iPad. You must give it a try to manage your daily, weekly, monthly or annually tasks routines. It’s all features are powerful and it also come with a smart event detection option which is beautifully designed and ready to notify you about each upcoming famous event. 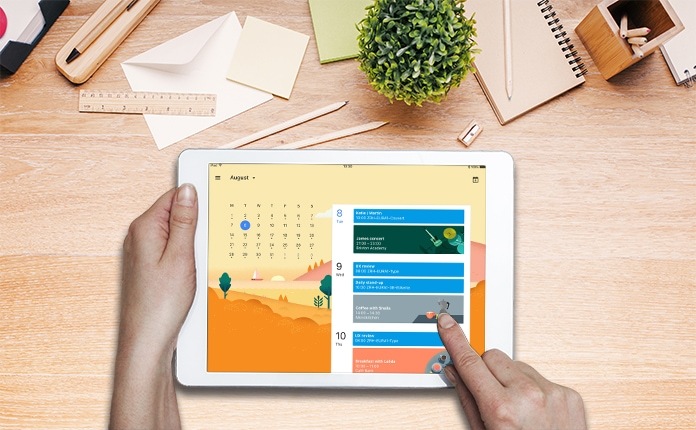 This calendar app is completely customized and adjustable based on the needs of users. There are attractive patterns for four seasons with drawing charts which a user can easily understand. You can access to Google calendar for free through your browser and use it. 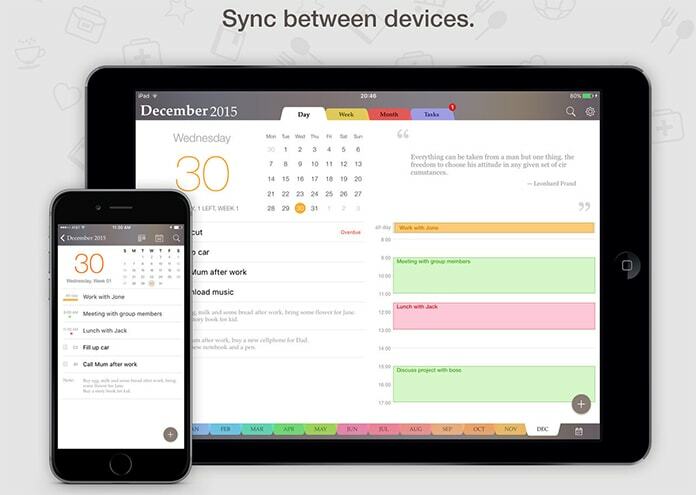 Fantastical 2 is a calendar app for your iPad and its own worth. It provides an informative dashboard which consists of your calendar entries and reminders. Therefore, you can come to know about each upcoming event easily. You can quickly get access to the different calendar views. It covers daily to weekly and from monthly to annually calendar views without the need of navigating the page again and again. You can use it during multitasking on your iPad and this calendar app comes in different sizes and shapes for your different iPads. It is the right app which you can download from App Store at the cost of $9.99. Another great app that will allow you to be more organized and productive is Outlook. With this app, you can schedule your messages, meetings or home projects. Outlook also allows you to share your meeting availability and easily find times to meet with others. You can download this app from App Store for free and it is compatible with iPhone, iPad, iPod touch and Apple Watch. 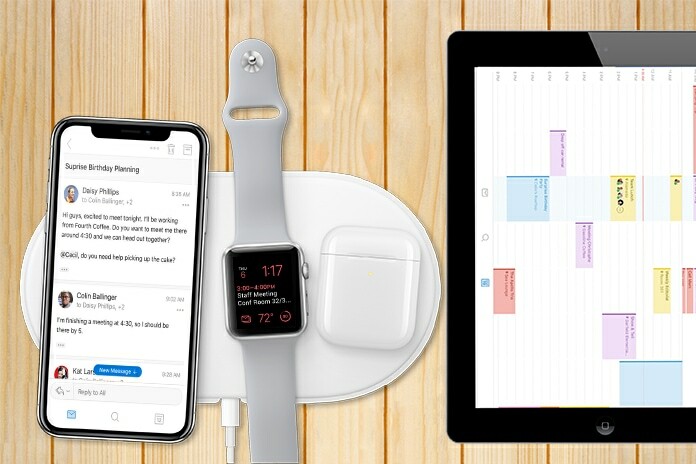 We hope that you liked our list of the best Calendar apps for iPhone, iPad, iPod touch and Apple Watch. Don’t forget to like, share and leave your comments in the section below.